Meet our Indiana Ag+Bio+Science Innovators. Researchers, entrepreneurs, executives, farmers, students, and others share their stories of discovery and invention, making a difference in Indiana and the world. 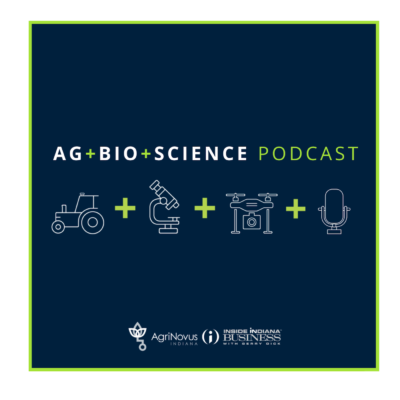 Ag+Bio+Science is an in-depth conversation about Indiana’s agbiosciences with leaders, innovators and entrepreneurs in the space. Learn more about the pioneering industry and where it’s heading from those leading the way. Innovation + technology across the business.